The Committee’s inquiry concluded that the evidence they gathered raises a range of issues which go beyond the cause of the fire itself and require further examination. The public inquiry, which the Committee is calling on the Scottish Government to establish, should also look at the risks posed by fire in historic buildings nationally to establish what lessons might be learned. 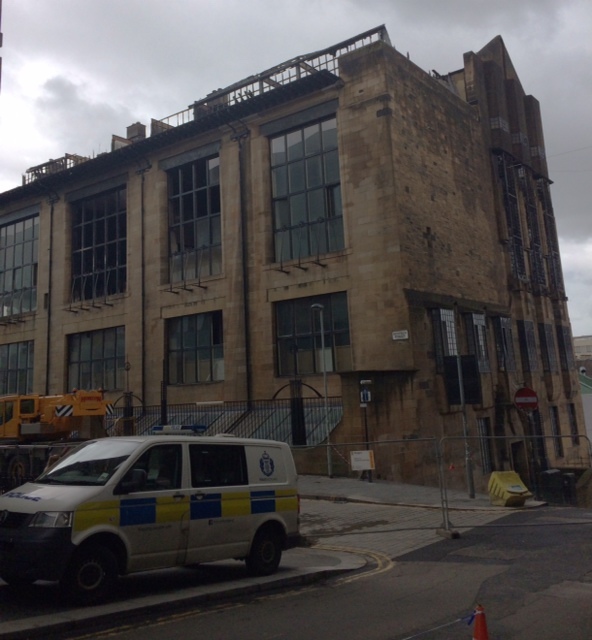 Their inquiry also found that Glasgow School of Art (GSA) did not give sufficient priority to the safeguarding of the Mackintosh building and the board should have had more expertise in managing a building of this nature. The Committee also recommends that the Scottish Government review the remit of Historic Environment Scotland in order to ensure that it has sufficient powers to intervene to protect buildings of national significance. In the period up to 2014, the GSA appears not to have specifically addressed the heightened risk of fire to the Mackintosh building. A loss of trust with the local community which needs to be repaired. The Committee recommends that the GSA establish a formal method of engaging with the local community on a permanent basis. The Scottish Government should review the legislation concerning safety in historic buildings during the constructions phase of a project to identify any additional legislative measures that could be put in place.